The LG Optimus 4X HD is the first smartphone to use an NVIDIA Tegra 3 CPU. This processor has 4 physical cores clocked at 1.5 GHz. In addition, there is a fifth core clocked at 500 MHz that runs to perform small tasks such as music playback. The Optimus 4X has a Li-Ion battery with 2,150 mAh. It implements a face unlock feature found in Ice Cream Sandwich. The phone can be upgraded to Android 4.1.2 Jelly Bean. LG uses their Optimus UI v3.0 along with the Android OS. 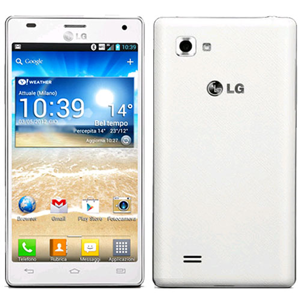 The LG Optimus 4X HD has a 4.7" screen which displays a 720p resolution.